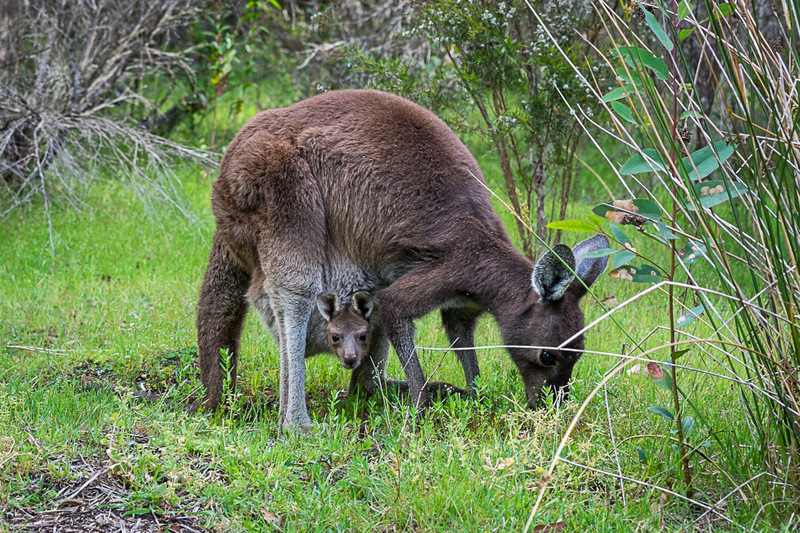 I was out wandering around the garden this afternoon when I happened across this mother and her little joey–who is a bit small yet to come out of the pouch, but is seriously thinking about it! Another older joey was close by with its mum–having lots of exploratory jumps to try out those new, gangly legs. The garden is starting to get into high gear, with fruit trees blooming, massive plants producing the tastiest artichokes, loads of lemons, and, of course, a few special flowers as well. I hope autumn in the Northern Hemisphere is as beautiful as it is here! It has been a perfectly gorgeous fall so far here but not as pretty as those pics. Great to hear Connie! Hope winter stays away for as long as possible…and I hope you are well!